Our Mountain Park Needs You! North Cheyenne Cañon: What do you love? What do you want it to be like? Video of North Cheyenne Cañon: What do you love? What do you want it to be like? In order to increase convenience to the public and to maximize coordination of City of Colorado Springs’ projects related to North Cheyenne Cañon Park, the Park Master and Management Plan community meeting schedule is being adjusted. Addition of a 6 p.m. Feb. 1 community workshop in the Kiva Room at Cheyenne Mountain High School, 1200 Cresta Road. Change in time for the March 6th open house. The meeting will now take place from 6-7:30 p.m. in the Kiva Room at Cheyenne Mountain High School. We will review the draft master plan. The City Public Works Department is beginning a project to improve vehicular safety and bridge structural and flood capacity within the Cañon. The schedule adjustments listed above allow the Public Works project team to contribute planning level data and analysis of roadways, traffic, and bridges during the Master Plan alternatives development. Park master plan alternatives will be reviewed with the community at the January 25 community workshop. 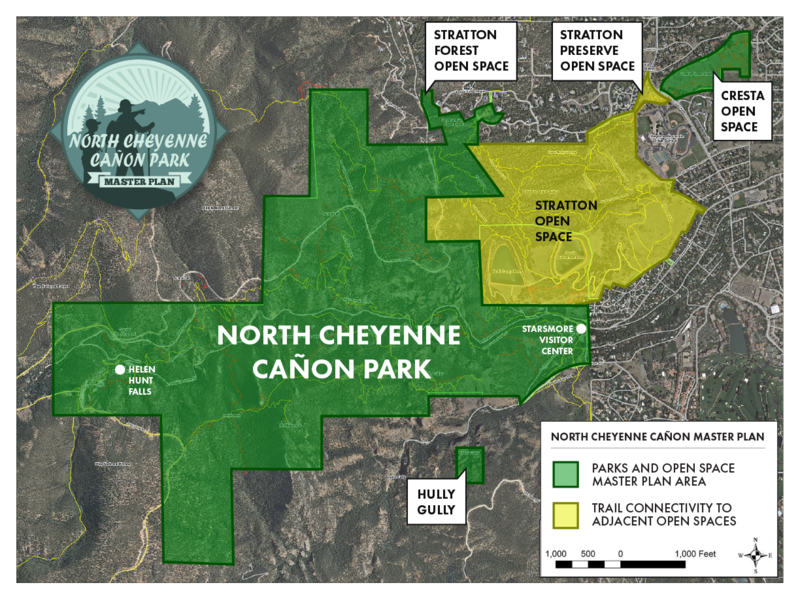 Note: The Master Plan for North Cheyenne Cañon Park and the planning effort that is underway for the Strawberry Hill property are two separate projects. If you would like more information about the Strawberry Hill plan, please visit this website: www.strawberryhillmasterplan.com.